Acute coronary syndrome (ACS) is a clinical syndrome caused by acute myocardial ischemia and a severe stage of coronary atherosclerosis heart disease. The aim of this study was to clarify whether ramipril was a therapeutic agent against monocyte chemoattractant protein 1 (MCP-1), interleukin 18 (IL-18), and interleukin 10 (IL-10) in elderly patients with ACS. 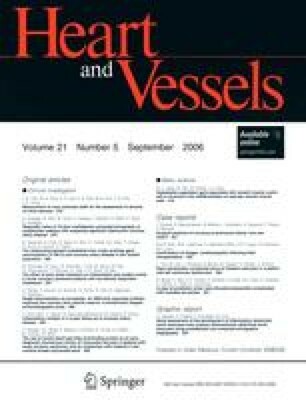 A total of 190 subjects including 72 elderly patients with ACS (78.1% male, mean age 67.12 ± 5.06 years), 60 elderly patients with stable angina pectoris (76.9% male, mean age 68.00 ± 4.52 years), and 58 healthy volunteers (77.8% male, mean age 65.96 ± 4.18 years) were recruited into the study. Serum MCP-1, IL-10, and IL-18 were determined in 132 elderly patients by enzyme-linked immunosorbent assay (ELISA) before and after treatment with low doses of ramipril (2.5–5 mg/day), and were determined in 58 healthy volunteers. The levels of serum MCP-1 and IL-18 were much higher in elderly patients with ACS than those in elderly patients with SAP and healthy volunteers. After treating with ramipril, the levels of MCP-1 and IL-18 were decreased in elderly patients with ACS. Moreover, ramipril significantly increased serum IL-10 in elderly patients with ACS. Ramipril plays an important role in elderly patients with ACS. With decreasing MCP-1 and IL-18, it can ameliorate cytokine-associated cardiac damage. This study may provide a new recognition of angiotensinconverting enzyme inhibitor for the treatment of ACS.